Large room with a double and a single bed. Direct access to a shared balcony with hammocks and rocking chairs. 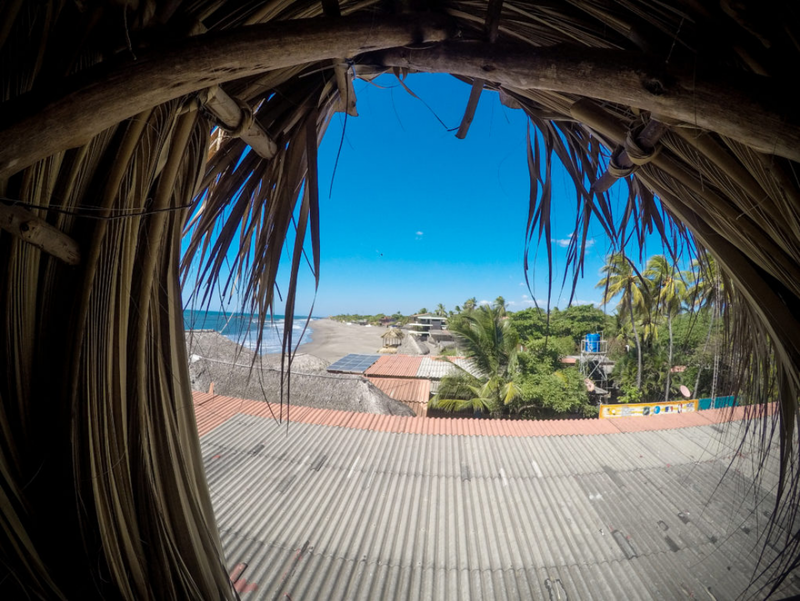 Private bathroom, ocean view and ceiling fan. 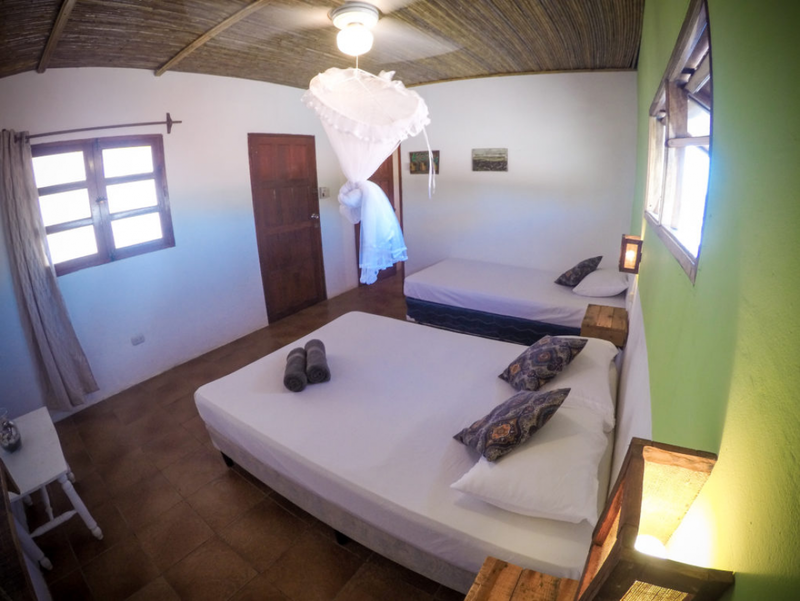 Double room with private bathroom and ceiling fan. Ocean view from shower and room. 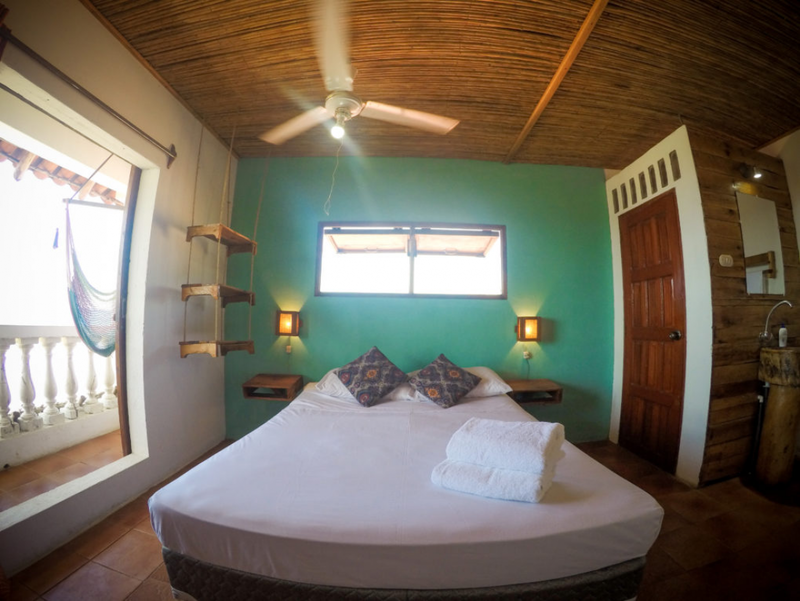 Double room with queen bed, private bathroom, ceiling fan and private balcony overlooking the ocean. Large family room with queen size bed and two single beds on mezzanine level. Built entirely using rustic and recycled materials. 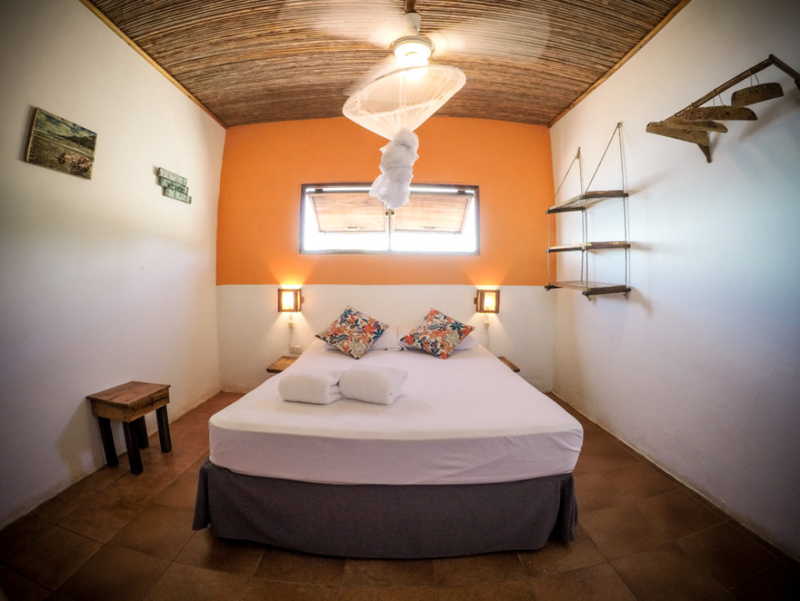 Loft-style double room with queen size bed on mezzanine level. Natural ventilation and amazing ocean views from bedroom!